Appearance: Pale pink with thick legs. Nose: Subtle. A whiff of smoke, plum, black cherry, hint of cedar. On the palate: Light bodied and delicately sweet. White mulberry, white pepper, slightly underripe blueberry. Finish: Plum, ripe fig, then a delicate oaky flavor as it fades. Parting words: Sassy Rosé is dedicated to the memory of the Moffats’ beloved Airedale Rosie (2003-2011), who I actually met on a couple occasions while stopping by the tasting room in Jackson. She was a friendly dog, but being an Airedale she could be, well, sassy. I’m a big fan of dry rosés, especially those from the South of France, so I came into this wine with high hopes. I have had it before at the winery and it tasted good, but wines tend to taste better when sampled at the winery with friends. I was eager to get it home and write up a review. When I first opened it, I was disappointed. It was much sweeter than I remembered and lacking in sass. After spending eighteen or so hours in the refrigerator, it has improved quite a bit. The profile is much closer to dry French rosés and much more enjoyable now. It gets a bit overwhelmed by spicy food, but does well with a light lunch of cheese and crackers or with holiday turkey. The price is on the high side but it’s fair for what it is and may be a little cheaper at the tasting room if I recall correctly. Sassy Rosé is recommended. Maker: Pelee Island, Kingsville, Ontario, Canada. Grapes: Cabernet Franc, Baco Noir, Chambourcin. Nose: Blueberry jam, oak, hint of cedar, black pepper and allspice. On the palate: Medium bodied. Wild blackberries, prunes, cherry juice, mace, toasted oak. Finish: A little chewy and drying. Nicely balanced between fruit and wood. Parting words: When I was at Pelee Island Winery last summer Eco Trail Red was by far the best red wine I tasted that day. They sell a bewildering number of different wines and as one would expect the whites are better on the whole than the reds. That said, some of their reds are very enjoyable and they’re not always the most expensive ones. This wine is a prime example of that. Eco Trail is an excellent table wine in the best sense of the term, i.e. a wine to drink with a meal. 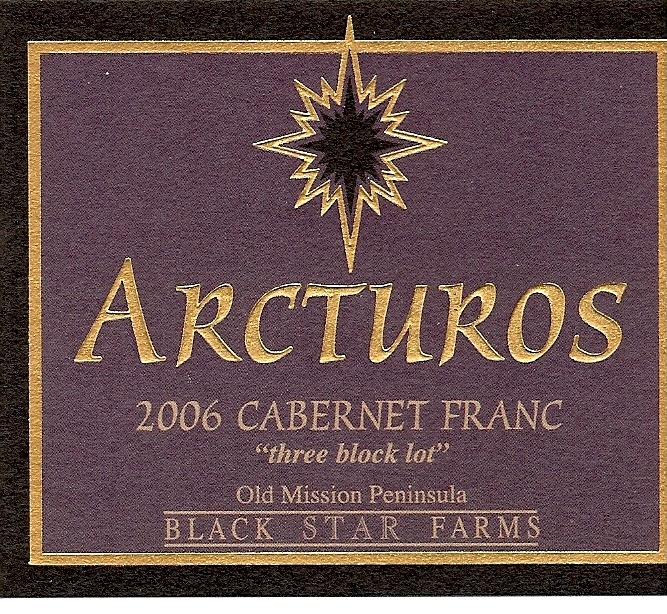 The Cab Franc takes the lead and the two hybrids round it out nicely. It’s affordable and doesn’t need more than a year or two in the bottle to blossom. I have never seen it for sale in the US, or even anywhere else in Canada other than the winery shop. If you are in Ontario and happen to be driving by Kingsville on the north coast of Lake Erie, stop in and pick up a bottle. Eco Trail Red is recommended. Nose: Dry, grapey, bit of toasted oak, bit of tobacco. On the palate: Dry with some underlying sweetness, ripe plum, red raspberry jam, wild blackberry, oak. Finish: Dry with lots of wood, but not unpleasant. Paired with food, the finish is more balanced. Parting words: This is another “serious” rosé from a serious (but not stuffy) winery on Old Mission. 2 Lads is a relative newcomer, but they have quickly become one of the best. It’s great with food and on its own with plenty of varietal and terroir character. The 2011 vintage was very good all through Michigan. If this is any indication of what the rest of that vintage has in store, I am very excited. 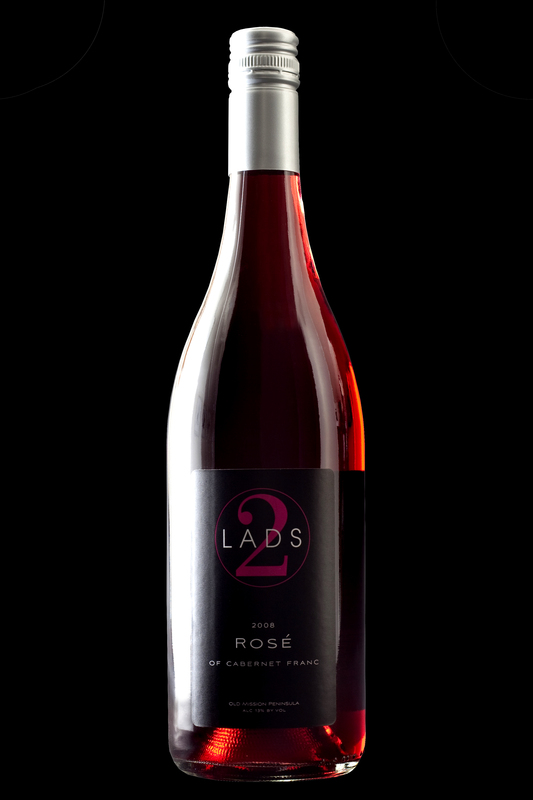 2 Lads Rosé is recommended. Nose: Black Currant, plum, cherry, a bit of wood. On the Palate: Light bodied for such a dark wine. A little sweetness, cherry and other stone fruit, with a touch of wild blackberries and black currants. Delicate, but not a pushover. Finish: Not much in the finish. A little wood and cherry, and then a slow fade. Parting Words: This a wonderful, subtle Cab Franc. It does well with food but take some time to sip and contemplate before digging into your meat and potatoes. At 7 y/o, it may be a little past its prime (this may account for its subtlety) but it’s still very good. Cab Franc does very well in Michigan and the Northeastern US. For those who turn up their noses at Eastern reds, this may be an eye-opening wine. Highly recommended.